Hello my fellow nail polish addicts! 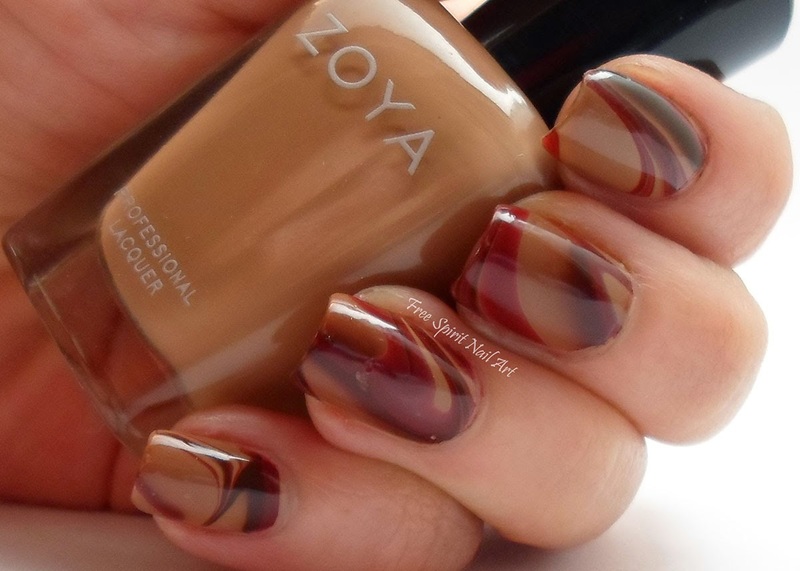 I have been on a water-marble kick lately so I thought I'd try out some Zoya's to see how well they work water-marbling. Turns out they work great! Check 'em out! 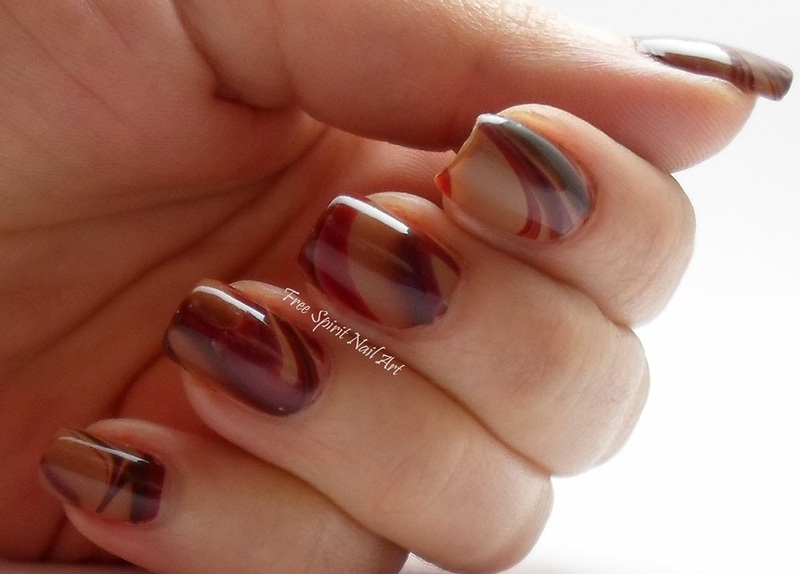 I used Zoya Flynn (the light brown), Zoya Lousie (the dark brown), and Zoya Pepper (the red). I was going for more of an earthy feel but they turned out to look like rich chocolates instead. Still a win in my book! They were a big hit at work with the girls which always makes my day! I used ProFX as my base coat, then did a coat of Flynn before doing the water-marbling on top. I of course used my usual Sech Vite to seal it. I hope everyone else is enjoying the holiday spirit, I know I will be this year since I got my shopping done early! Thanks for looking, I'll have more up to share soon!